Perth is one of the biggest cities in Australia located in the western coast of the country. The city is on the banks of the Swan River and near the Indian Ocean and Darling Range. The city was founded in the year 1829 and it was then major political center of the Swan River Colony. Before the coming of the Europeans the area was inhabited by the aboriginals mainly the Whadjuk Noongar tribe. The name of the city was kept after a place in Scotland by James Stirling. In 1856 the crown head of England gave Perth a status of a city. With the joining of the Federation of Australia in 1901 Perth became an integral part of the Australian country. The city of Perth is blessed with a Mediterranean type of climate. Summers are generally hot and there is very scanty rainfall during the summer months. The rainfall which occurs is mainly due to the thunderstorms and tropical cyclones. 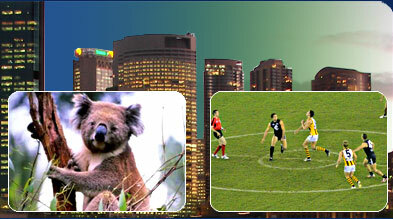 Winter season in Perth is comfortable and cool and most of the rainfall occurs during this season. The temperature rarely drops below zero degree. Average annual temperature of the city of Perth is between 23.3 degree Celsius and 13.3 degree Celsius. Total precipitation average is about 869.4 millimeter per year. Perth is the capital city of Western Australia where the parliament and the governor of the state is located. There are 30 different local government bodied which are responsible for the administration of the city. Perth is a major cultural center of Australia where both performing arts and visual arts have equal significance. The West Australian Art, Perth Institute of Contemporary Arts, Perth Concert Hall, Perth Convention Exhibition Centre, Burswood Dome and Subiaco Oval are the few cultural centers in the city. For sightseeing in the city there are two unique transport systems known as CitySightseeing Perth and Perth Tram Company. The best time to visit the city of Perth is during the city of Perth Winter Arts Festival. Some of the places of attraction in Perth are numerous parks and gardens which have a historical and traditional significance and the Perth Town Hall which is a historical building of the city. Wellington Square, Langley Park, Supreme Court Gardens, Russell Square and The Allan Green conservatory are some of the parks in the city. Perth is a great place to shop for aboriginal crafts. The products of the modern artists of Australia are also available here. The city claims to have about nine hundred shops selling special items ranging from designer fashion goods to electronic items. The Central Business district, Barrack street, Kingstreet and Hay street malls are a best places to shop for exotic items which can also be taken back home by the visitors as souvenirs. There are a number of restaurants in Perth where food from all around the world can be experienced at a reasonable price. For late night discos and hip pubs the City�s West End can be visited and for a dinner by the Swan River one has to go to East Perth.